When Spock says, “Live long and prosper,” he’s not talking about banning new technology to preserve a cottage industry, much less stultifying the technologies that transformed India from an agronomic basket case into a food export nation in less than a generation. But, having never experienced mass starvation as Indian policy makers did, American policy makers are rushing to negotiate with the same food terrorists who in 1972 banned DDT, the only effective means of controlling mosquitoes that spread malaria, a regulatory coup that resulted in more deaths than both world wars. Of course trendy metrosexuals will object. Surely there’s nothing in the wholesome experience of shopping at Whole Foods or a state-sanctioned “organic” farmers market that smacks of terrorism. Is there? 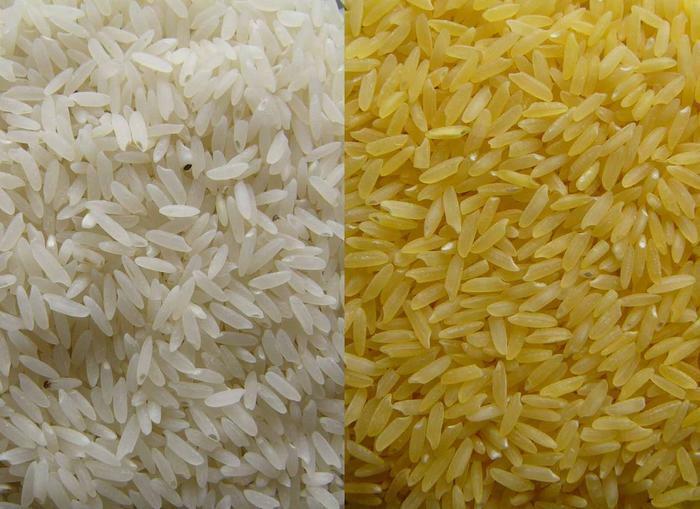 Consider Golden Rice, genetically spliced with β-carotene over 10 years ago to prevent millions in the Third World from going blind and dying. It remains in regulatory limbo thanks to organic activists who claim it will contaminate organic rice. Since they reject genetic engineering, organic activists claim genetically-modified organisms (GMOs) represent a threat to organic crops. And they have actually gone to court and lost three times, insisting on zero tolerance for GMOs. Alas, even their own rules don’t support such a claim. Organic farmers are only prevented from using GMOs, with no point stipulated at which GMOs threaten organic integrity. Imagine, claiming that a new form of technology “contaminates” an older form. Could anything be more absurd? Well of course it could. A whopping 43% of all certified-organic food sold in America now tests positive for prohibited pesticides. Remember when organic activists used to worry about pesticides? Not anymore. They don’t even bother testing organic crops to discourage cheating, preferring instead to ensure GMOs are kept out even though, in stark contrast to pesticides, not a single health effect has ever been observed from GMOs on the environment, animals or on humans. What, one wonders, would Spock say about this terribly illogical state of affairs? Only the federal government could maintain the sheer contradiction in regulating two diametrically-opposed food-production systems without defending the long-established, science-based system. GMOs result from 35 years of science and have over 20 years of commercial success. Even European farmers want to grow GMO crops, and European scientists agree it would be perfectly safe to do so (see here and here). And yet, people like Republican Rep. Mike Pompeo are rushing to give activists a national, voluntary GMO labeling system that will include a far stricter regulatory apparatus for new GMO crops and, crucially, a threshold level for GMO content, precisely what activists demand. The City of New York tried limiting the size of soft drinks its citizens could be trusted with, and the courts struck it down. But we’re about to see a threshold-limit put on GMO ingredients across America, with not a shred of evidence of any consequence resulting from growing or consuming GMOs. Pompeo is being driven by Vermont passing the first “clean” GMO labeling bill in America, and Oregon becoming home to the sixth county in America to ban GMOs. Rather than respond directly to such threats, and with support from some very high-profile public and private farm-and-food organizations, Pompeo is essentially seeking to abandon America’s leadership role with a rejigged version of Democrat Barbara Boxer’s failed 2013 GMO labelling bill. So get ready to negotiate with people who claim GMO farmers poison our children and the environment, and who believe there are too many people on the planet, without any evidence for either claim. Some say it’s a green religion. But it’s far worse. It’s an unprecedented form of antihumanistic anarchy. Every other anarchistic revolution was always restricted by physical limits. Whether it was how many people could be beheaded in France, starved to death, forced into slave labor or have their heads smashed in with rifle butts in communist Cambodia … every other revolutionary-horror inflicted by man upon his fellow man had hard, physical limits. 1.61 billion, by no coincidence, is the number of people who walked this planet before, in 1917, brilliant German scientist Fritz Haber cracked the code that allows us to pull a literally limitless supply of Nitrogen fertilizer (ammonium nitrate) from the earth’s atmosphere, freeing humankind from the labor-intensive limitations of naturally-composted fertilizer. How telling that it was the rejection of Haber’s process that launched the organic movement in Germany in the 1920s. How telling that leading environmentalists see this as a turning point we must return to. But activists know they’ll never ban ammonium nitrate. It’s not only the most important fertilizer in farming, but also the key ingredient in gunpowder and TNT. So they’ve turned instead to creating a bottleneck on the single most-promising form of technology to hit agriculture since Haber’s discovery: the ability to develop new crop varieties with beneficial traits through genetic engineering. In so doing they will force the next generation of American farmers to be less efficient than the last, for the first time in almost 400 years. Star Trek might be a silly TV show with a following of “Trekkies” who meet in Las Vegas once a year to compare costumes. But it was once a reflection of American values as much as it represented a vision for Americans to strive for in decades to come. It’s impossible to imagine a TV show with the opposite message. Organic activists simply don’t care how many kids will die this year after going blind from Vitamin-A deficiency, or the next … or the next. It’s not a problem that requires a solution; it’s already a solution in their jaded eyes. A final solution. And that, friends, is why we cannot afford to negotiate with these people, and cannot tolerate any legislation that concedes anything to them. Because if we give so-much as an inch to these people, the next thing you know it will become increasingly difficult for you and your family to “live long and prosper,” precisely what these depraved activists want. Mischa Popoff is a former organic farmer and USDA-contract organic inspector. He is the author of Is it Organic? and has co-authored articles alongside Dr. Patrick Moore, one of the co-founders of Greenpeace, and leader of the Allow Golden Rice Now! campaign.